I use a lot of natural linen with clients and in my own home, often it's Belgian linen. I like 100% linen for drapery, roman shades, slipcovers, bedding and pillows. In the picture above you can catch a bit of the detail in the roman shades on the windows on either side of the fireplace. These were custom made in a very light linen fabric and I had a slightly darker linen band added for contrast. 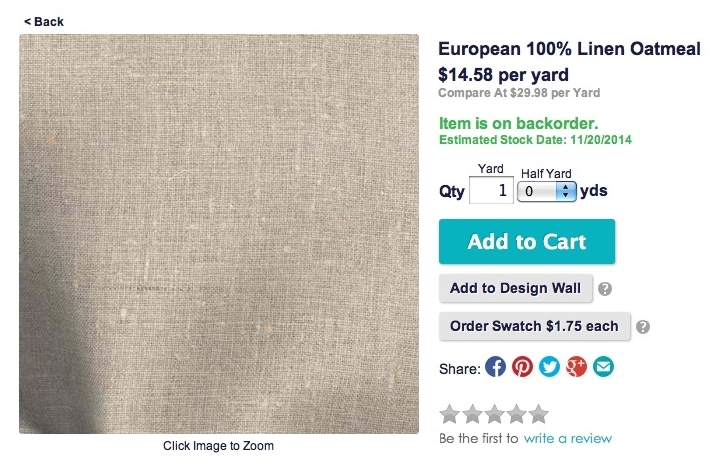 People often ask where to get linen fabric. Here are a few sources for 3 nice looking linens you can order online, at a range of prices. I always suggest getting a sample before you order a large quantity.